Another Superb Owl Sunday has come and gone. Did you see any superb owls? I got my owl fix last weekend but spent the bulk of the week chasing a rare pair of Greater White-fronted Geese around Monroe County. Fortunately, I finally tracked them down yesterday, hiding out amidst teeming masses of Canada Geese. Corey’s Best Bird of the Weekend isn’t a rarity or a particularly difficult bird to see. 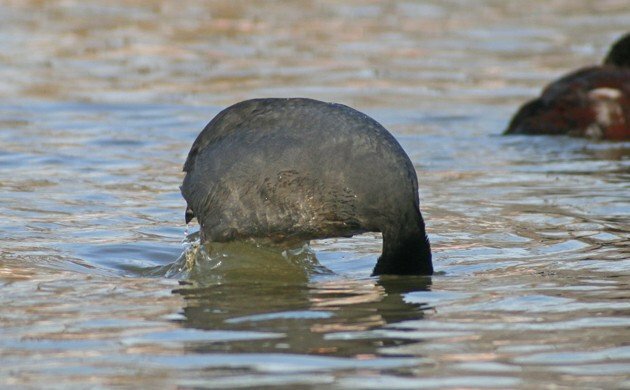 No, the American Coot is not a bird that would normally make it as Best Bird of the Weekend. But there are so many wintering in Queens this year, far more than have ever been recorded, that Corey felt that he had to give them some recognition. That, and it’s cool watching such butterballs diving for food. Best for me was a Snowcap at El Tapir while guiding someone who happened to be from Monroe County. Long-billed Curlew by far! Purple Sandpiper and American White Pelicans in close second. Big flock of White-fronted Terns!